Crawling | Live. Learn. Love. Eat. 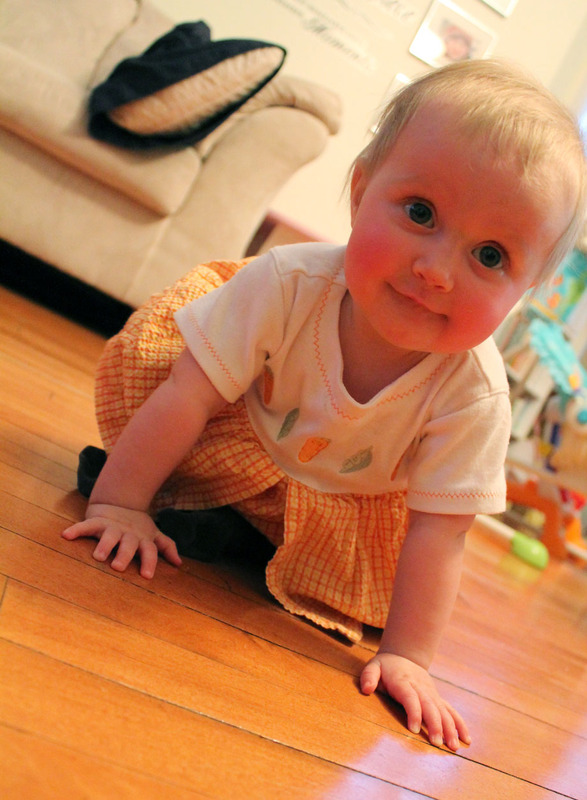 Serafina is crawling now. 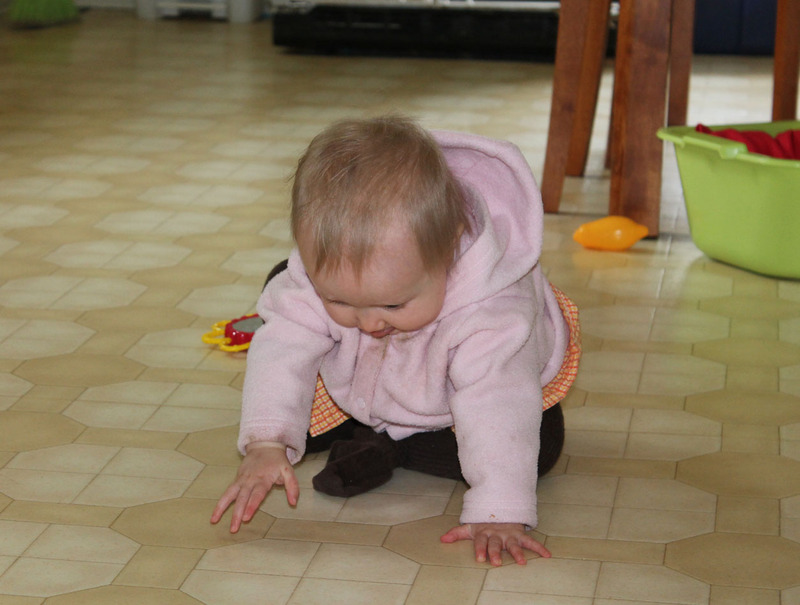 She does the same sort of crawl as Kesa did. 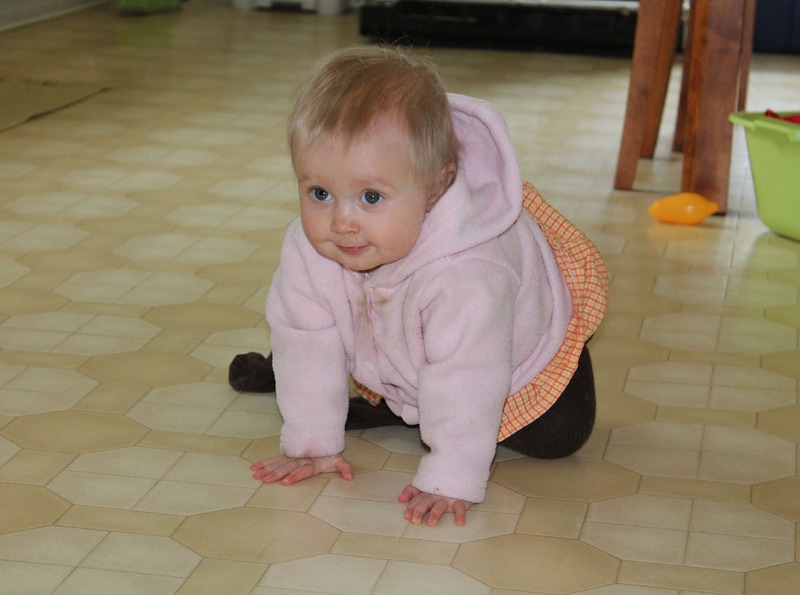 We call it the Gollum crawl, where they kind of pull themselves along with one leg and drag the other leg along. 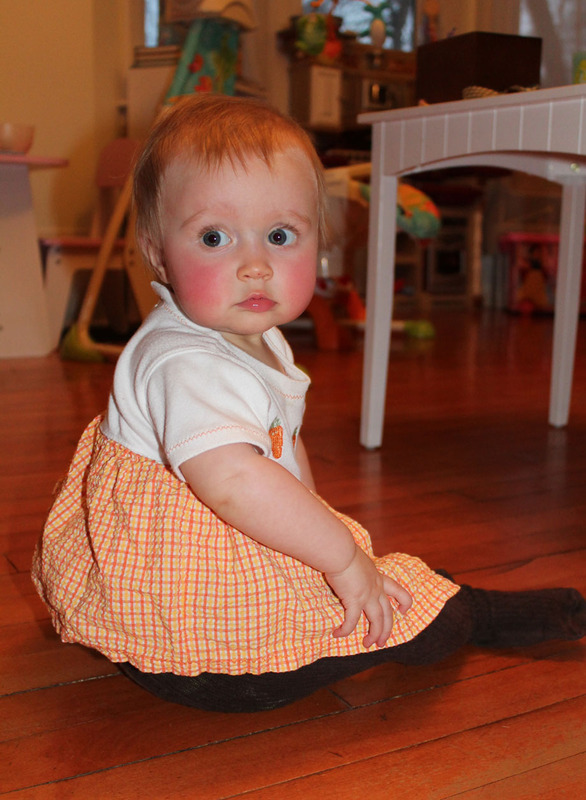 For the last few weeks she has been trying really hard to get moving, but just couldn’t figure out how to move her legs. 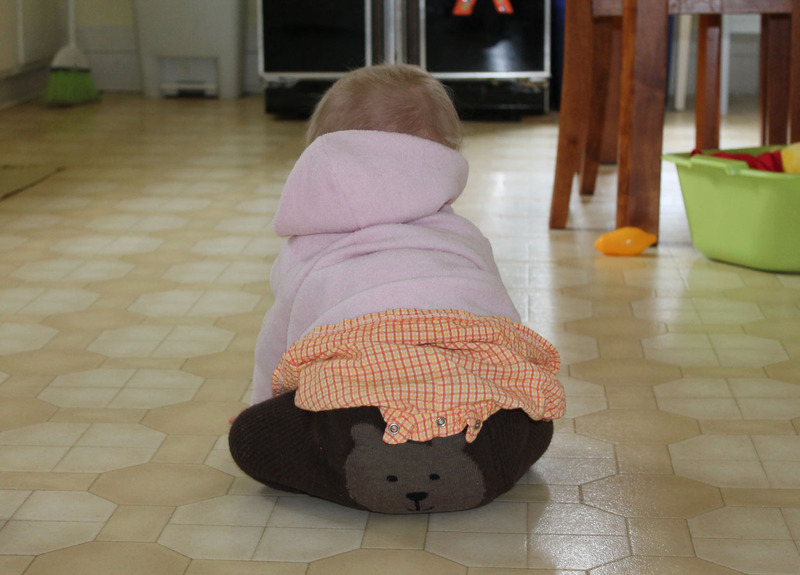 She would keep leaning forward and scooting a little ways on her bum, but was so frustrated that she couldn’t move her legs. 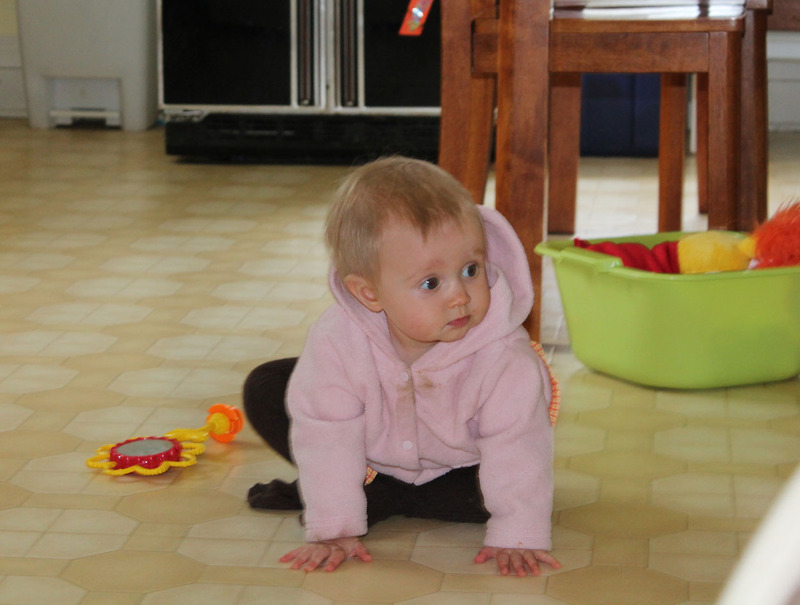 She is also trying very hard to pull herself up on everything, so I am sure walking is not far off either. 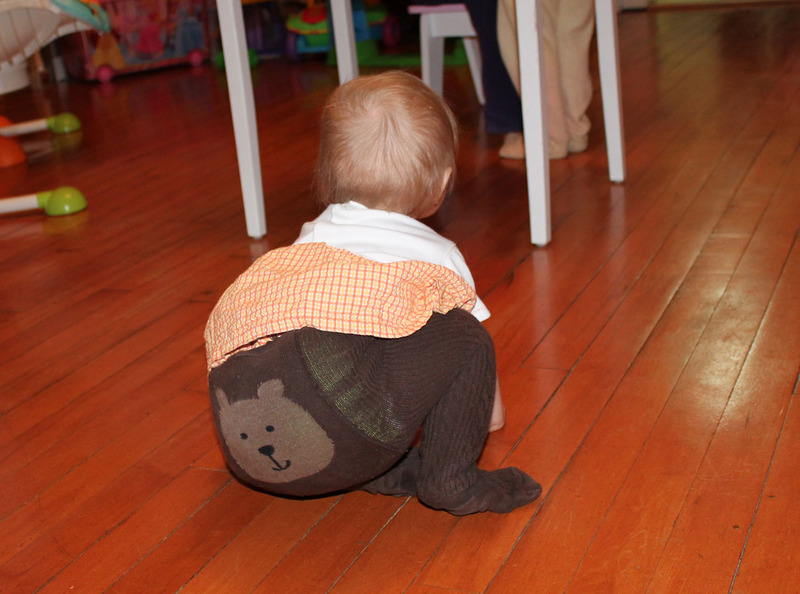 Love this little bear bum!! Haha – oh, SO cute! She’ll be zipping around like a pro in no time!